Senator, representing Kogi West Senatorial Zone at the National Assembly, have given details of how he escaped from some people who wanted to burn him alive in his bullet-proof car on Thursday, last week. The news of the kidnap of the Senator, who has been in the news of recent for his several encounters with the Nigerian Police and his failed recall by his constituents, allegedly arranged by his home Kogi State Governor, Yahaya Bello, had gone viral, last week after a tweet by Ben Murray Bruce, his colleague at the Senate, alerted Nigerians on an alleged attack. But, in an encounter with PREMIUM TIMES, Melaye, said he was not actually abducted, but was attacked by some alleged assailants, who double-crossed his car, shot at him, and tried to burn it down when they could not succeed with their guns, because the vehicle he was travelling in was bullet proof. In a lengthy discussion with PREMIUM TIMES on Saturday afternoon, Mr Melaye narrated his own version of what he said unfolded along the Abuja-Lokoja Highway. In all, he confirmed he was not abducted, but that he was not the architect of his ordeal either. He said he was travelling from Abuja to Lokoja for a court appearance on Thursday morning and shortly after passing Gwagwalada, which is roughly 50 kilometres southwest of Abuja, a convoy of three vehicles drove recklessly by his vehicle, intercepting him on the highway and forcing him to stop. He said the assailants tried to open fire to force themselves into the vehicle, only to realise that it was a well-fortified vehicle with bullet-proof. Without much time to waste at the scene, the attackers devised an alternative. “They started shouting that they wanted to burn me, they said ‘burn him, burn him down,’ and crossed the road to look for tyres to set the vehicle on fire,” Mr Melaye said. As the attackers dispersed in different directions to scavenge for tyres, Mr Melaye said he feared for his life and made instinctive calculation to jump into the bush and bolt, rather than remain in the car in defiance. “I jumped into the bush, and I started running,” Mr Melaye said. “They pursued me and I was able to outmanoeuvre them and climb a tree. The senator said it was on the tree that he perched until his assailants left. While on the tree, he saw four of them passing, but remained hushed to avoid being detected. He would go on to spend 11 hours trying to ensure that he was no longer at immediate risk from his assailants and navigating his way out of the overgrown weeds. He also said he could not identify any of them, even if there is an identification parade by authorities, largely because he was more apprehensive of his survival than anything else at that traumatic moment. Melaye said he believed those who attempted to attack him were police-sponsored elements. He said when he appeared in court on Wednesday for his attempted suicide trial at the Federal Capital Territory High Court in Apo, he saw some men trailing him after the proceeding. He described the vehicles the men were driving as two Toyota Hilux trucks and a Toyota Sienna minivan. “They were exactly the same vehicle that were used to attack me on Thursday morning,” he said. He was driving to Lokoja in a vehicle not previously known with him, in a bid to disguise his move to those who were trailing him. He said his brother immediately performed a U-turn, a task that was by and large seamless since he was not the target of the assailants. Melaye said he is still being haunted by the event of four days ago, and called on Nigerians to prevail on federal authorities to restore his security. He urged citizens to disregard the claims that he was somehow involved in planning the attack on him. “It defies logical, the claim is illogical,” Mr Melaye said. He said the claim that he was trying to avoid court appearance should immediately ring false to lucid minds, especially since he was in court just a day before. Besides, Mr Melaye said, the court appearance in Lokoja was more about symbolism than substance. This was because he had learnt from his lawyer, Mike Ozekhome, that the case would not be heard on Thursday because prosecution lead had already written to notify of his unavoidable absence and seek adjournment. “Alex Izinyon is the prosecutor and he had written to my lawyer to inform him that he would not be in court on Thursday and that the judge should adjourn the matter,” Mr Melaye said. “So why would I not want to be in court when I know that nothing would happen to me?” Mr Melaye said. Moreover, Mr Melaye further told PREMIUM TIMES that Nigerians should remember that he was granted bail by the same court in Lokoja, which he had continued to enjoy and had made three previous appearances. “I have been attending all previous court hearings. I have been told that the prosecutor wanted an adjournment. I have been granted bail long ago which I continue to enjoy. So why would I not want to go to court that day? “There is no sense in that claim. It is completely against logic,” Mr Melaye said. Mr Melaye said as a citizen, he is entitled to security if he informed the authorities of a credible threat to his life. “So now that I am even a senator of the federal republic, how do you withdraw my security and leave me exposed, especially when I have escaped four previous assassination attempts?” Melaye said. 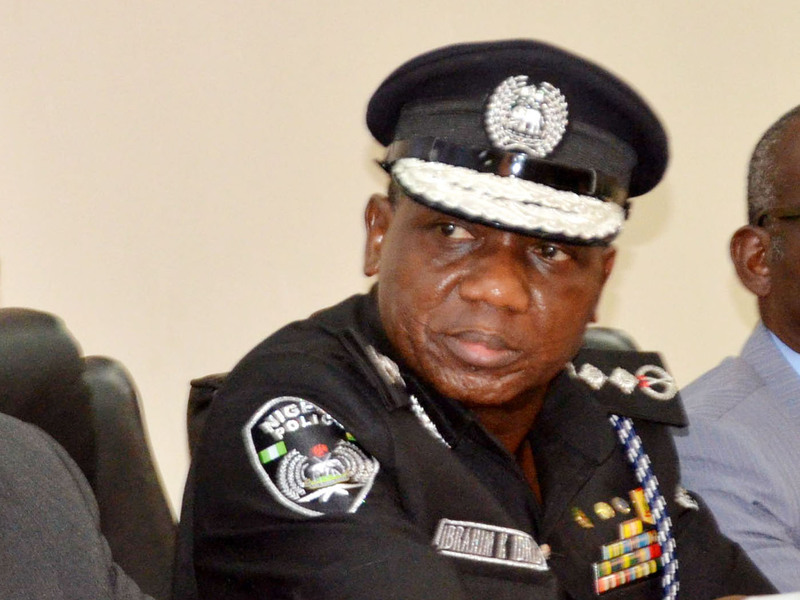 He said his security was withdrawn on April 22, at the peak of his confrontation with the police over alleged complicity in a series of capital offences traced to some persons the police identified as hardened criminals who once terrorised Kogi State. The suspects were arrested and they allegedly named Mr Melaye as their sponsor who supplied them with arms and funding. Melaye strong rejected the claims, but the police continued to see him as a suspect, and later arraigned him in Lokoja. Melaye said he had made several attempts to have police detail restored, but all without luck. He showed copies of letters he wrote to the Inspector-General Ibrahim Idris, informing him of threats to his life. He also decried his vulnerable security during a plenary at the Senate, which lawmakers promptly responded to by passing a resolution on July 11, calling on the police to provide security for him. “I also asked for security from the Civil Defence authorities, but they refused to provide it because of the powers that be,” he said. Melaye vowed that he would not stop criticising President Muhammadu Buhari, no matter the cost to his personal comfort and safety. “If I die today, 100 Dinos will rise tomorrow and take my place,” the senator said.